Showroom dealers are now helping to highlight this issue and inform consumers about the dangers of purchasing hot tubs from ‘web shops’. Among the latest pedigree dealers to provide warnings are Deep End Pools who have an expanding award-winning chain of Just Hot Tubs stores across the South West, including sites in Berkshire, Buckinghamshire, Cornwall and Exeter that have the 2016 WhatSpa? 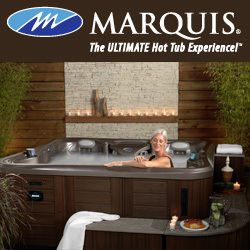 Best Buy Award-winning seven-seater Just Hot Tubs Empire model in their extensive hot tub choice to prospective customers.